The world as we know it has gone. In its place is a world where women are no longer born - instead, they're created and genetically modified to be perfect. 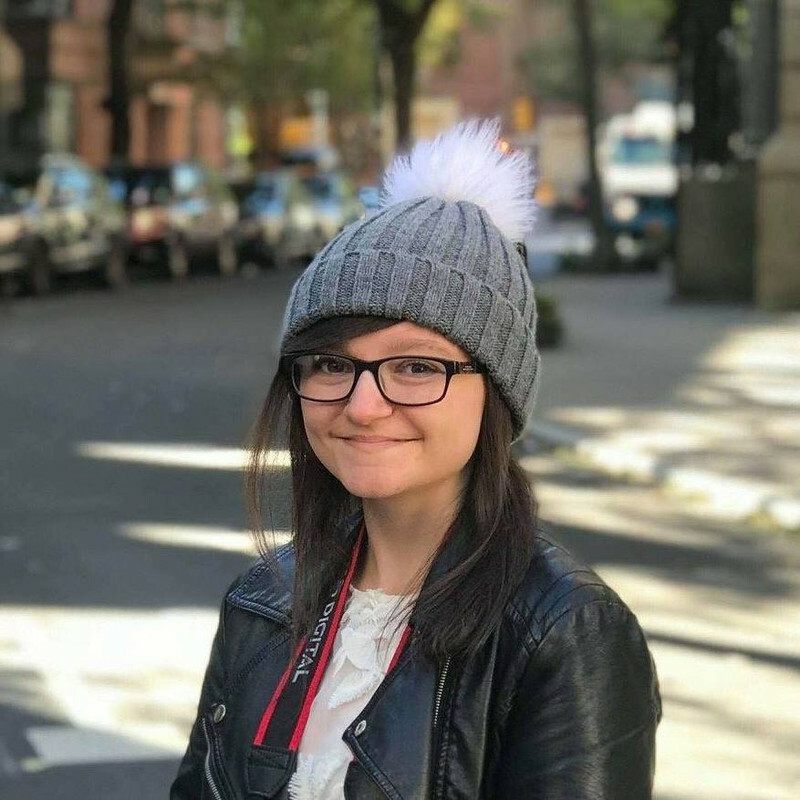 This new generation of women call themselves 'eves' and they live in a strict boarding school for sixteen years, with their only goal being to please men. Their classes aren't academic - being academic is frowned upon - and, instead, they take classes such as Comparison Studies where two eves are stripped to their underwear while the rest of the class have to send them anonymous messages with what they need to improve about their looks. They also have Organised Recreation where the eves are put in glass coffins and given medication to stop them from getting too emotional or hysterical. Eves thought to be too intelligent, overweight, ugly or angry are punished. They must be good. They must be appealing to others. They must be agreeable. At the end of their sixteenth year at the School, ten boys of the same age, called Inheritants, pick their wives. The remaining eves either become concubines (prostitutes) or chastities who, after having their heads shaved and their wombs removed, teach the new students. As you can probably tell, Only Ever Yours is dark, disturbing and one of the best books I have ever read. O'Neill has taken our misogynistic and anti-feminist world, amplified it, and turned it into something dystopian. She has shown us what could easily happen to our society if we let it, and it should have been ridiculous, but it wasn't because it's so true to life and very close to home. I have no idea how I'm going to be able to wait until September for O'Neill's next book, Asking For It, which sounds equally fantastic. "Which one of us do you think is the prettiest?" agyness looks from megan's face to angelina's, then back to megan's again. Silence fills the domed garden, no one daring to look at anyone else. "What?" megan isn't even attempting to disguise her disbelief. "I said I choose angelina." Irritation colours agyness's voice at this further disruption. "I prefer her lips. You have great lips, angelina," she says, and angelina smiles gratefully at this unexpected victory, however small. "But, um, you have a nice personality, megan." She must be worried that she has hurt megan's feelings. That's the only explanation I can think of for the blatant lie. That warning vein is throbbing in megan's forehead again, her lips so white they look as if they've disappeared. "Nice? Nice? NICE?" megan shouts. I try to shush her but she's beyond reason. "Yes. You're nice," agyness lies again, looking perplexed at this reaction. "I do. I think personality matters." "Are you brain dead? Personality does NOT matter. All that matters is being pretty, you..." she stammers with rage, "you feminist." There's a horrified gasp. "Well, it's true." she says defiantly. We freeze as she moves out of the shadows cast by the plastic trees. Her black robes make her look like a huge crow, about to scavenge through the debris for something to eat. Behind her is chastity-bernadette, sleepily rubbing her eyes. "Being pretty is what's most important. Although, I have to say, I feel using the 'F-word' was a little excessive," she continues, wearing her calmness like a mask. I can't breathe, terror constricting my lungs. "Since you know how important being pretty is, I'm sure you're aware of how important sufficient sleep is to keep your skin in good condition. Especially coming up to the Ceremony." It was interesting to see that, even in a world where women are designed to be perfect, almost all of the eves have problems with anorexia, bulimia, and just generally hating themselves for the way they look. It was a brutal but honest depiction of what it's like to be a teenage girl in today's world. It takes a little while to get used to the writing style - specifically, the female names beginning with a lower-case letter - but you soon get used to it. I'm probably wrong, but I thought that might symbolise how the eves are inferior to the men, whose names are capitalised. So, there we go. I might seem calm now but that book had a massive effect on me, and I urge all of you to read it. Chilling and intense, Only Ever Yours really got under my skin and highlights everything society tries to cover up. 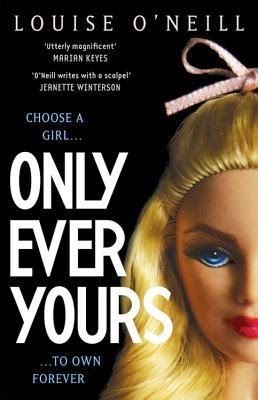 I read and reviewed Only Ever Yours back in February, and it terrified me. Not because it's inherently scary, but because to me, it felt like a warning to an image-obsessed society. Yeah, it wasn't a comfortable read. Incredible, but not nice. One of my absolute favourites of last year, loved this book so much! It just won the prize for the best YA book too. At some awards - completely forgotten the name of them but they were big! It's brilliant. Definite re-read! I think it should be on the curriculum. I have a copy of this book and you made me remember why I had gotten it. There's too many books! I so absolutely 100% agree with you! This book was so absolutely fantastic and poignant and totally enraging at the same time!